Our research projects are funded mainly from research funds granted by national, international and European istitutions and organizations. These activities are implemented though the activation of research groups in dedicated projects with the objective of combining scientific and educational activities. You can find the results of our research activities exploring the dissemination section. Moreover, you can access to some research stories of our young collaborators and to the projects section for detailed information on our projects. Our current research activities address particularly European citizenship and fundamental rights, area of freedom, security and justice, common policies on immigration, economic, social and territorial cohesion issues. CeAS research strategy is based on two fundamental principles: flexibility of the approach and focus on thematic areas. An articulated and flexible approach, together with a plurality of investigation plans relating to both study and educational activities, can be exemplified, by type of activities, under the following headings. Individual and/or group work entrusted to internal collaborators of the Centre, through grant of scholarships or on a voluntary basis, or external collaborators, in order to conduct research across selected thematic areas, for the purpose of collecting documentation, data processing, analysis of contents, with production of materials and instruments, collection and arrangement of bibliographic data, websites and other references, to be made available through appropriate forms. Internationalization, through partnerships and mobility programs for teachers and students, in particular from third countries of the Mediterranean region, with regard to the realization of activities in the field of high-education (phd courses and post-graduate courses) and other educational initiatives, such as summer schools, seminars cycles, workshops. 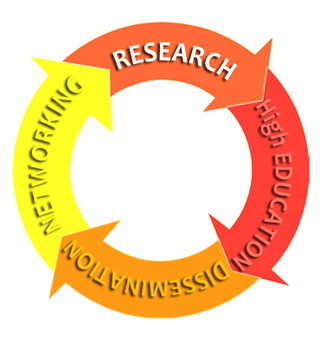 University cooperation and networking activities developed with other research centres, as well as with institutions, organizations, associations and civil society bodies, in order to build and consolidate joint activities able to support and boost research and dissemination products, attracting the interest of academic circles as well as of professional people and the public at large. Printed and online publications, together with multimedia products, with the purpose of promoting knowledge and information in various fields and sectors of European studies, focusing on interdisciplinary aspects and encouraging innovative teaching/learning approaches. As regards thematic areas, CeAS has traditionally focused its scientific interest on a variety of topics and corresponding research projects. 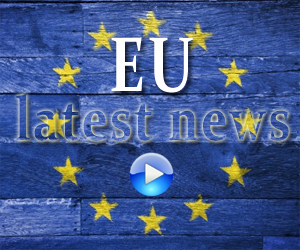 These projects revolve around the central idea and ideal of European citizenship as strategic reference point of the European integration process.